Brooks Hilliard CMC CCP, has been a computer industry professional since the mid-1960s, starting as a software developer, and later moving into marketing and general management positions with computer software and hardware companies. He formed Business Automation Associates in 1980, with the intention of consulting to businesses on the selection of computer systems and software. Since founding the firm, Mr. Hilliard has been done more than 200 information technology consulting assignments of this type. Mr. Hilliard’s first expert assignment took place in 1983, when he was engaged by a law firm for a construction company that was considering suing its system provider. After investigating the circumstances, Mr. Hilliard advised against litigation. Since that time he has been engaged as a testifying and/or consulting expert in more than 90 lawsuits and has testified more than 50 times in courts, arbitration hearings and depositions. Mr. Hilliard’s professional biography describes his computer business, information technology consulting and expert qualifications. 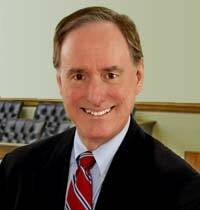 Because of his long record of computer industry experience, Brooks Hilliard is able to assemble teams of experts with complimentary areas of expertise, when professional associates are needed to address different areas of an engagement. Mr. Hilliard’s expert witness clients have included law firms ranging from local firms in cities throughout the United States to large international firms with offices throughout the world. Brooks Hilliard is one of fewer than 15 consultants in the world who hold certifications from both the Institute of Management Consultants (IMC) and the Institute for the Certification of Computer Professionals (ICCP), the most widely recognized independent international certifying bodies for professionals in both fields.